As an international correspondent based in Europe, I decided to interview Michelle Kasprzak, an international curator for electronic and media art and a Canadian, originally, who is now based in Holland. Michelle Kasprzak, a self-trained artist, decided some years back to move to Europe. First she moved to the UK (Scotland) and now she lives in Holland, where she works as a freelance curator and art critic, collaborationg with major shows and institutions across Europe. I think it is of great interest to follow her career path through this interview and to see how a Canadian works in and experiences the European art scene. So, here you go; enjoy! Eva Kekou: How did you become interested in art and technology? Particularly connected to the European scene? Michelle Kasprzak: My first love was photography and I really enjoyed working in the darkroom. Somehow jumping from those chemical processes to digital ones was an easy transition. I entered this field at a time when people were still “getting online” and so it was a really exciting moment. My formal training was at Ryerson University in Toronto and my program was called “The New Media”, and at the time a lot the things we were using were actually new. Even at that time I was aware of and actively interested in the European scene and V2_ Institute for the Unstable Media and the Dutch Electronic Art Festival were both definitely on my radar. If you had told me then that I would eventually be working for both of those organisations I wouldn’t have believed you! EK: How does the art/curatorial scene in Europe operate in comparison to the North American scene? MK: I think things operate in a similar fashion, mostly. There are some key differences in how culture is instrumentalised and approached – for example, to broadly generalise, I think culture is more often appreciated and supported for what it is in Europe, whereas in North America you more often hear economic arguments for supporting the arts (about return on investment, etc). EK: Can you tell us some things about your own background and work? MK: I’m interested in curating in a way that gets people thinking about how information (this includes art) is presented and contextualised. In this vein, I suppose I got started when I was involved with the Year Zero One collective, and the Transmedia series of projects that put artworks on video billboards (then a new sight in urban centres around the time the project launched in 2000). What we called “video billboards” in 2000 quickly became re-christened “urban screens”, and I’ve been working with them as a platform since that time. 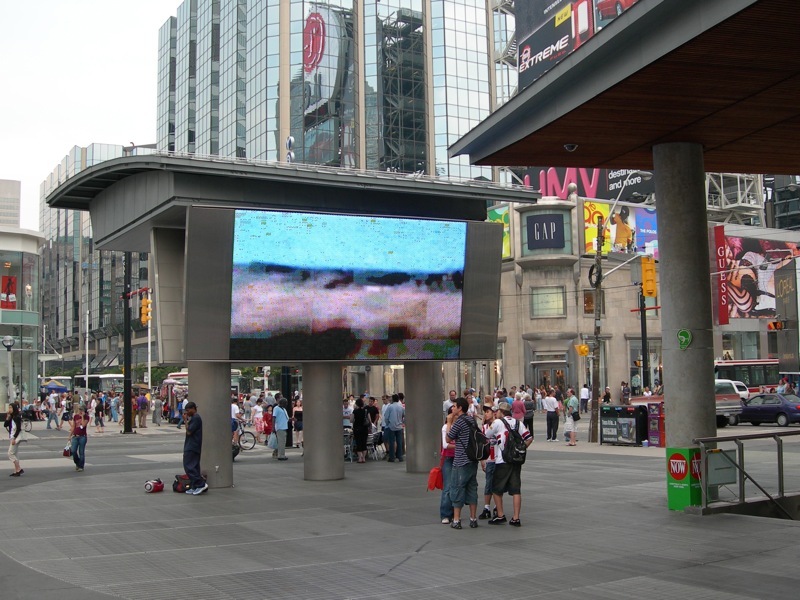 It’s a particular challenge to grab the attention of the public in the busy urban spaces where these screens usually reside. I’ve worked collaboratively with curator Karen Gaskill on two projects so far and we are continuing to develop more concepts for exhibitions. It’s great to work with someone else, as I really enjoy the exchange and the challenge in describing thoughts on an emerging concept to someone else, which can be really difficult. We first formally collaborated in 2007 with Turnstile: Single Use — Day 1: Successful Failure and, most recently, developed the exhibition Constellations, which was shown at Cornerhouse in Manchester in 2011. 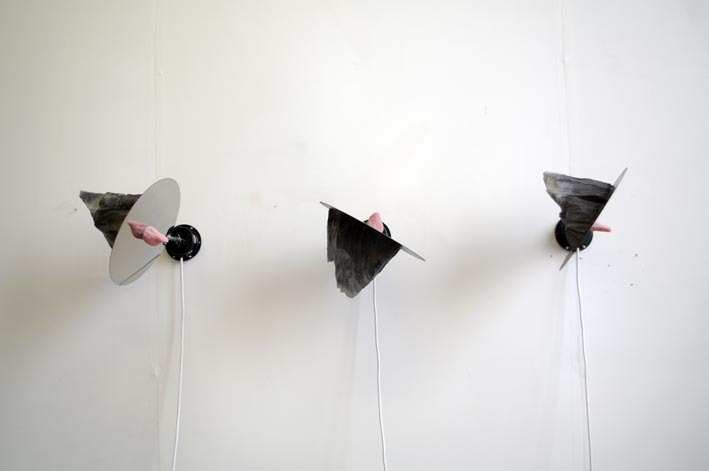 Each of the four artists featured in Constellationsare interested in notions of fluidity and flux, with many of the works changing and evolving over time to create an exhibition that is different each time it is seen. 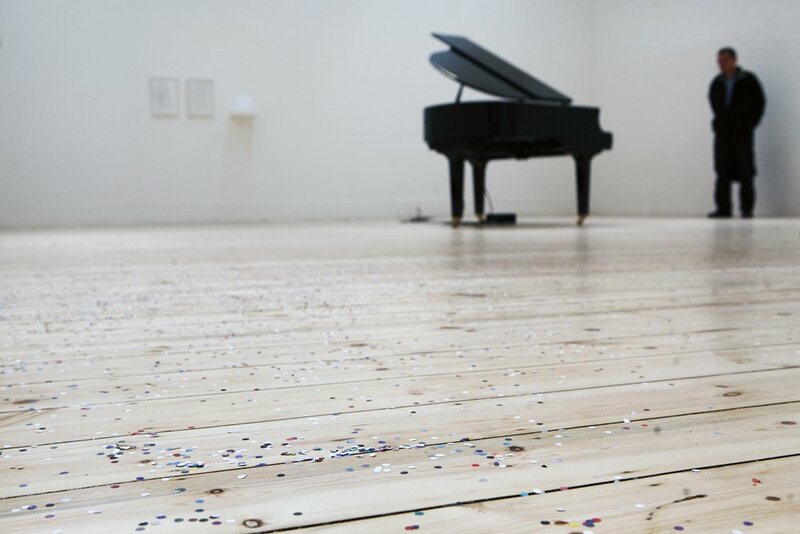 We both were really excited about the ideas of difference for an audience each time, and we managed to mostly succeed by including works such as Katie Paterson’sA Hundred Billion Sunswhich caused an eruption of confetti in the gallery twice a day. Each piece of confetti is coloured to match a gamma ray explosion in the heavens. Also I was trained as an artist, and I think that while I decided this was not an end in itself for me, it greatly helps working with artists in my role as a curator. EK: Can you tell us about V2_, including the ideas behind it, its events, future plans? MK: V2_ Institute for the Unstable Media was founded as an artist collective by Alex Adriaansens and Joke Brouwer, thirty years ago, in ‘s-Hertogenbosch, the Netherlands. It was in a squat and the founders called it a “multimedia center”. There were many concerts, performances, and experiments with analogue media, like TVs, sound installations and Super-8 film. Bands like Sonic Youth, Einstürzende Neubauten and Laibach performed there. As time passed, the possibilities of working with technology grew, and the “Manifesto for Unstable Media” was issued by V2_ in 1987. In 1994, V2_ moved to Rotterdam and the former Manifestations for the Unstable Media became the Dutch Electronic Art Festival around the same time. Now, V2_ has a Lab, residency programmes, a wide range public events and programmes (including the Blowup series which I curate), and we release at least one book per year. For the coming years we are going to expand and internationalise in some ways, and refocus or reformulate in others. EK: How ‘useful’ or disastrous do you think “crisis” could be, particularly in relation to things like diminishing artistic production, inspiration, or encouraging collaboration and other ways of expression? MK: Crisis, real or imagined, is of course a useful tool for refocusing, reprioritising, and generating change in a general sense. I think the current wave of crisis facing the cultural sector in the Netherlands, for example, has done much damage but for those who will survive the cuts, it could be a good opportunity to examine what’s truly important to carry forward. That said, of course we in the culture sector always turn lemons to lemonade, but there are limits. Recently there have also been radical cuts in the North East of England and some of the dialogue there is shocking. Politicians can still get away with cutting the arts brutally, even if the savings barely register on their accounts, and justifying it by saying it was cutting the arts or cutting some kind of essential social service (to pull the heartstrings they usually mention children). This argument is such bunk, because there is much more waste that could be cut before the arts, and then we could have all the important social services and culture. I suppose cutting the real waste is difficult. EK: What are you working on at the moment? What are your future plans? MK:Very soon I will open my next exhibtion at V2_, which looks at an important but slightly obscure topic: some related shifts in philosophy called speculative realism, and object-oriented ontology (OOO), and then connecting these shifts to artistic practice. Three new art commissions examine different aspects of OOO, such as a non-human-centered view of the world and the limits of knowledge. An e-book of interviews with artists and thinkers, released with a short talk at the exhibition finissage, will round out the programme and provide insights into the relationship between this exciting turn in philosophy and contemporary art and design. Commissioned artists include Tuur van Balen & Revital Cohen (BE/UK), Cheryl Field (UK), and Karolina Sobecka (US). The works are really exciting in how they tackle this philosophical material but also relate to concerns that have been embedded in the artist’s own practice for a long time. I’m also working on a book, and I’ll be going on a writing retreat to Malta in 2013 to get the first draft finished. So look for it in bookstores in 2015 or so!